The fact that Lemn had no idea what would be in the report but decided to listen to it anyway, in public, must have taken a huge amount of courage and a risk to his own wellbeing. All day I had felt nervous. What must he have felt? I ummed and aahed as whether to go. I had that choice. I knew it would bring stuff up for me but I also wanted to be there for Lemn in the audience so he didn’t feel so alone. There were no worries of that, tickets sold out within 24 hours, the place was packed. 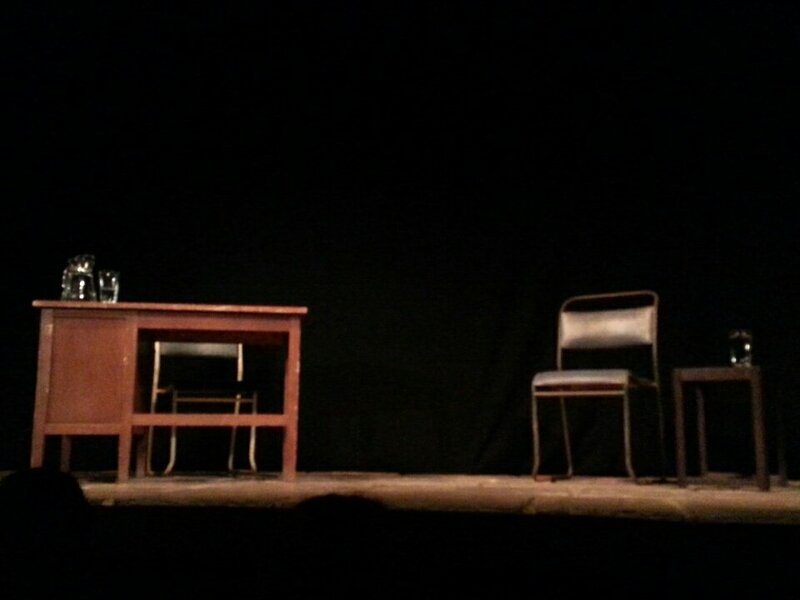 But more than anybody in that audience, I understood what Lemn had been through and what he was still going through nearly 50 years later. I hoped that being in the audience, and I’m sure there were other care leavers there too, would help. I hope he heard the ‘Well Dones’ when it was explained he hadn’t drunk alcohol or taken drugs to anaesthetise his feelings for three years. I hope he heard the gasps of shock every time the lies he experienced were read out. I hope he felt the love and care emanating throughout that small space that held over 300 people. He has a counsellor and he is talking through his life, his narrative, he is claiming himself back. The Royal Court was the perfect place for Lemn’s event. On 8 May 1956, John Osborne’s Look Back in Anger opened there. The Royal Court was Britain’s first national theatre company, and has held firm to its vision of being a writers theatre. Its plays have challenged the artistic, social and political orthodoxy of the day, pushing back the boundaries of what was possible or acceptable. The Report, would also break boundaries, those of silence and fear. Much of what I write is from memory as I didn’t make notes and I didn’t take photos of the performance. This was as a mark of respect, privacy, even though we were in a very public space. I heard Lemn’s life story told through a psychologist’s report, much of which I’ve heard before in various places. I heard how he was stolen from his mother, how his name too was stolen and replaced with the very plain, Norman. Perhaps the original social worker, Norman Goldthorpe, had such an uneventful life that he decided to put his rather ordinary name on to an extraordinary child. Despite this, Lemn shone throughout his childhood, so much so that the children of his adopted family resented him. And eventually so too did the adoptive parents who rejected him and sent him back to care, telling him he had chosen to leave them and he would never see them again. One day Lemn was part of a huge family, with grandparents, aunts, uncles, siblings and parents and the next he was a child in care completely traumatised and unable to understand what had happened. To say my heart broke is an understatement. I pretty much cried throughout the whole reading. From that day, Lemn’s life changed. And throughout the rest of the evening I heard how he spent the next five years struggling in a world that was racially, physically and psychologically abusive. He was beaten, he was called racist names like Chalky White, he was spat at, the list of abuse is endless. This sensitive, upset child, was locked up in Wood End Assessment Centre, Atherton. Locked up! Lemn said: “I’ve been trying to come to terms with what happened to me inside those walls, that institution, that place of secrets.” In 2015, Police began investigating historical physical and sexual abuse at the former children’s home in Wigan. Somewhere inside of Lemn, just as he has recognised the super-human strength of orphans in fiction, Superman was a Foundling, he found the strength to use words as a way to claim his freedom, his search for identity and his sanity. I’m sorry that I cannot remember all the different names of all the different mental health issues that Lemn is still suffering and recovering from. There were words like Personality Disorder, Post Traumatic Stress Disorder, agoraphobia, intimacy issues – the list was exhaustive. He still finds it difficult to enter a hotel dining room because of the colour of his skin. He’d rather stay in his room. He feels people don’t really want him, and so he hides away. He becomes destructive in relationships and so doesn’t have them. He is a scared, lonely man. But this is only one aspect of Lemn’s sparkling personality. I’ve worked with Lemn on the Care Leavers Christmas Dinner, and he is such a kind and loving soul. I believe with all my heart he will find the right someone to share his life. For all his adult life, Lemn has been an ambassador for children in care. At every opportune moment he has spoken about his past often relating it to children still in the care system and how to see them as they really are. One of my favourites, is the recent Lemn Sissay’s Origin Stories where he looks at foster children and children in care in popular culture, contrasting their treatment with those in the real world. He has given a voice to those who cannot speak, the voice of the silent, the oppressed, the abused, the forgotten. For me personally, and I suspect a lot of other care experienced people, Lemn will always be the living, Patron Saint of Care Leavers. Throughout the reading, I think of my own experience, I think of my care family, sisters, brothers and those that I’ve met over the years. And I think of those that didn’t make it. Like Paul who was sexually abused and died in the 80s from AIDS. I think of those that are still suffering everyday with their pasts. The repercussions as ‘The Report‘ reported are colossal. The care system took so much away from Lemn and others like him. His name, his family, his childhood, his future. His chance of family life where he could learn about his heritage and have that support, that education, that annoyance, so many people take for granted. He has done so much to take the private suffering of those in care and turn it inside out, upside down, and show the world the truth. And now, finally all these tired years later, I hope Lemn’s report, will give him something back. The justification, the recognition, the breakthrough that he deserves. From what I heard last night, I think that once the dust settles and the tears stop – it will. In some ways we are still in the early stages of the mental health journey and the consequences for care leavers and the understanding of the effects of trauma on abused and neglected children. The care services are playing catch up, often not quickly enough. As the representation of children in care, in fiction, that ‘single story’, begins to change, so too does the narrative. Lemn has ripped the lid off the can of care home worms. There will be positive repercussions throughout the whole of the ‘uncare’ system. The silence is broken. 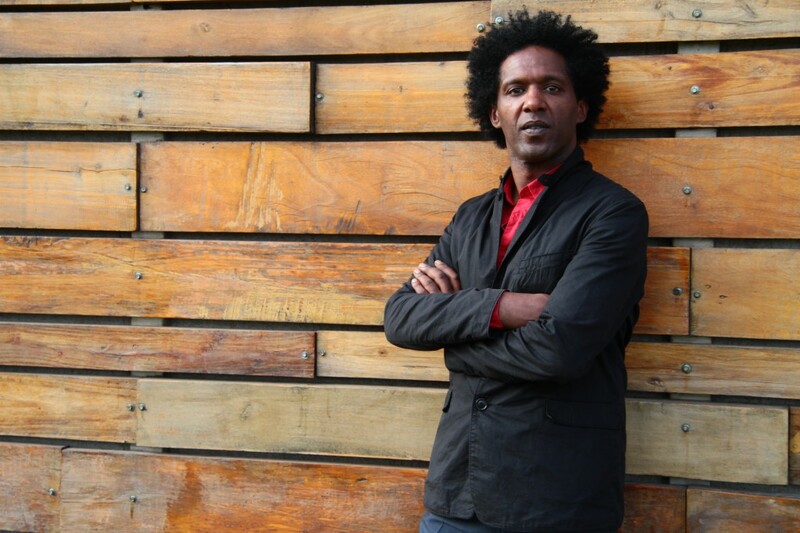 Lemn Sissay is an Honorary Doctor of Letters, has an MBE for services to literature, is Associate Artist at Southbank Centre and is a Foundling Fellow. Any profits from the performance will go towards the set up of the Lemn Sissay Foundation.